Back-To-School Organization in a Snap! By now the kids are back in school and their messes are really piling up. It’s a challenge to figure out what to do with all of that mess. This week our Declutter Challenge is focusing on the back-to-school clutter. Thankfully, I’ve got a friend to help us with this problem. My friend Dawn Marie and I met at Ohio Northern University. She is one of my sorority sisters………….shout out to all of the Alpha Omicron Pi sisters out there. I’ve known her a long time so I’m not afraid to discuss with her my dirty little secret…………clutter! 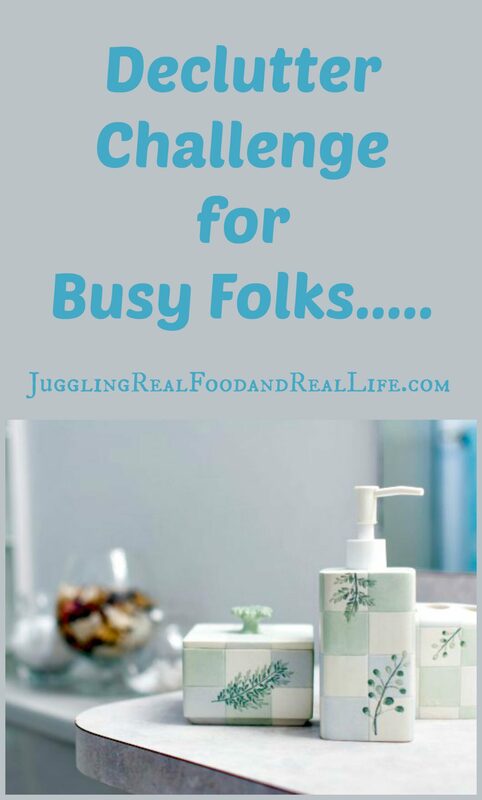 I don’t know how organized we were back in the day, but now that we are busy moms, we really need to have our stuff together. 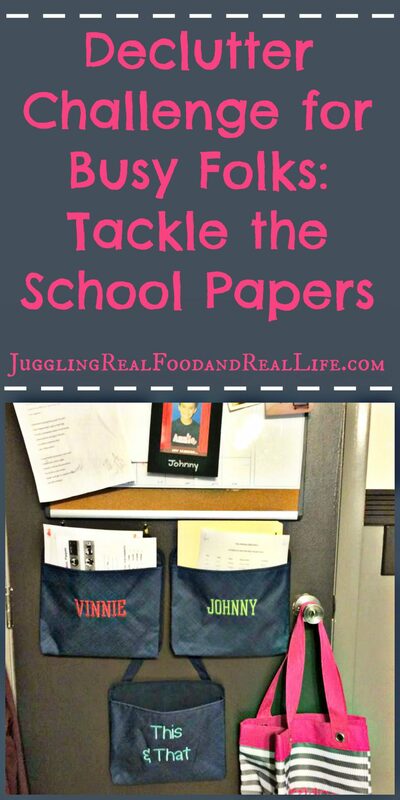 She and I were talking about back to school and the challenges that are created with all of the paperwork the little (and not so little) darlings bring home from school. Sure, a lot of it can be tossed into the trash right away, but some of it needs to be saved for reference and future use. My typical solution to the school clutter problem is to pile all of the school paperwork on the dining room table. Please tell me that I’m not the only one! The pile on the table doesn’t last too long because the next step is to clear the table for dinner. That is where the real disorganization magic happens. Everything just seems to “disappear”! It is so frustrating for me to search for paperwork that I need when I’m already rushing to get out of the house. I need a solution that looks nice and is easy to use. I don’t do complicated! My friend Dawn Marie is a Thirty-One consultant (No, she is not paying me to write this.) and showed me this idea that she uses in her home. I think it’s a fantastic idea! 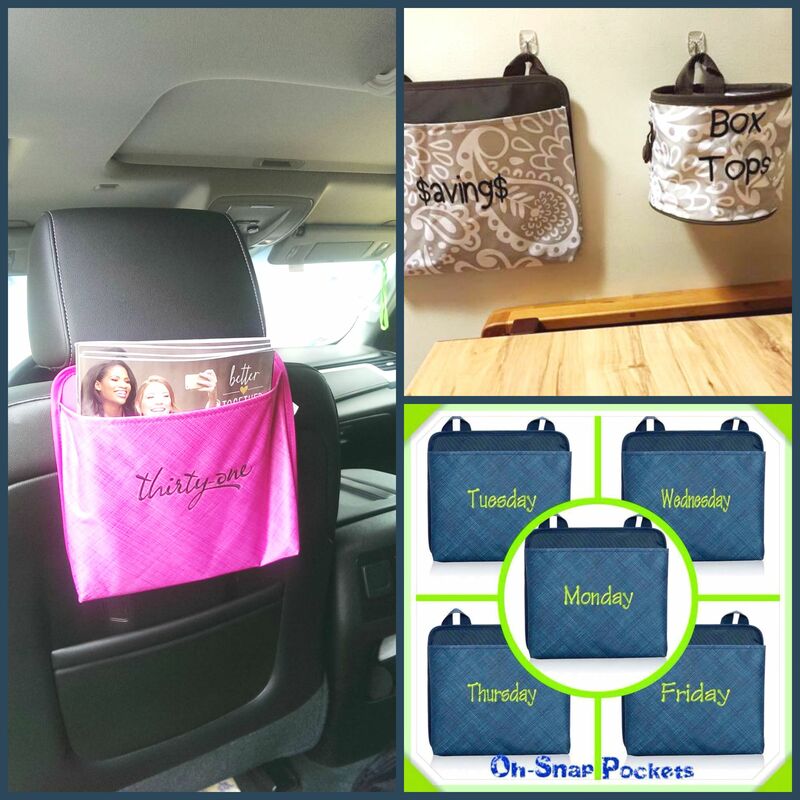 Dawn Marie created an area in her home using these “Oh-Snap!” Pockets. She uses one for each of her boys and one for herself. When the kids come home, she can quickly sort through the paperwork tossing or placing in the correct pocket. She then goes through the pockets once a week to make sure that she hasn’t missed any deadlines. Once she is done with the paperwork it can be tossed. It’s a great system to stay organized and to make sure the clutter doesn’t take over. I think the design is “super cute” too. Great advice Dawn Marie! I’m working on organizing my Sunday school classroom and I’m thinking that these might work well there too. Dawn Marie has really got me thinking. How do you organize your school clutter? Are you a fan of the Thirty-One products? 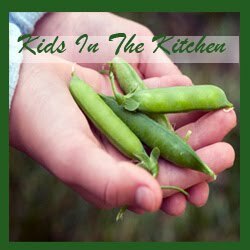 Since I always want you to be thinking about eating real food…………..If you are looking for help in making the transition to eating more real food, you should check out the Real Food Experience posts. You can get started at the beginning or jump around the challenges. You can find a complete round-up of the program here. Each week’s challenge is full of terrific advice to help you transition from fast and processed food to a real food diet. Changes that will help you to live a healthy lifestyle and have the energy to keep up with your busy schedule. I would also love for you to join me on social media. You can find me on Facebook, Twitter, and Instagram on a regular basis. Leave me a comment and let me know you are there. I love to visit with my readers. PS: Another of my AOII sorority sisters from Ohio Northern blogs over at The Peaceful Haven. Hop over and check out her blog too. 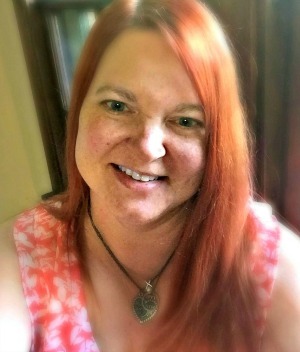 She is beautiful (inside and out) and her blog reflects that beauty…………from homemaking, to recipes, to personal style, to living with autism. She has so much great advice all in one place.